Carers should receive appropriate support by way of access to accurate information on a range of topics such as entitlement to benefits and respite care and not least, a listening ear when things get too much. We have recently updated our local Carers and Support Group Directory which can be downloaded, see below. We hope you find this helpful. The Boultham Park GPs, staff and PPG work with Lincolnshire Carers Partnership to promote support for carers locally. There is a notice board specifically for this purpose and we would urge you to ask for an Information Pack at reception. The pack is full of advice, contact details of local support groups and other useful information. You could also join one or both of our Patient Groups (PRG/PPG) details of which are under Further Information on the homepage. If not a carer yourself, by all means ask for one during your next visit and pass it on. You will be surprised at just how much support is actually available so please ask, we're here to help. 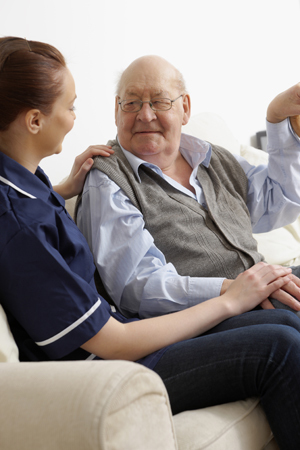 The link below will take you to an NHS video on the subject of carers which contains useful advice. Follow us on Twitter @LincsCarers!